Directed by Clyde Geronimi, Wilfred Jackson, Hamilton Luske. 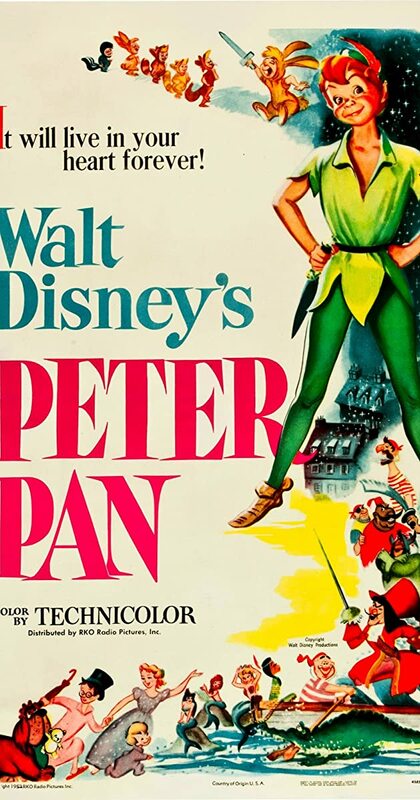 With Bobby Driscoll, Kathryn Beaumont, Hans Conried, Bill Thompson. Wendy and her brothers are whisked away to the magical world of Neverland with the hero of their stories, Peter Pan.